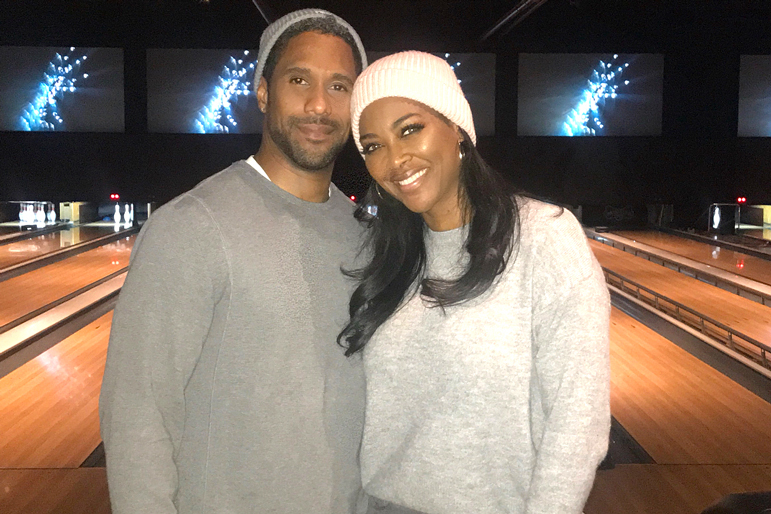 Its well known that Kenya Moore has wanted a family, all she needed was the daddy. A few months ago, at the end of the year, there were reports that Moore flew to Barbados for an in vitro fertilization procedure in November. The months that followed, there were rumors that the procedure was successful and she was expecting a child with her husband Marc Daly. According to reports from Love B Scott, Moore announced that she is pregnant. The report over at Love B Scott says that the announcement might have secured her peach for another season. Apparently, producers are not happy that she has decided to keep her newly minted marriage off of the cameras. Indeed, people like myself who have been following the show will want to see how she handles this new chapter in her life possibly a spinoff. Kenya, 47, is expected to give birth before the end of this year. If there’s a twirl bun in the oven, congratulations to Kenya and Marc!